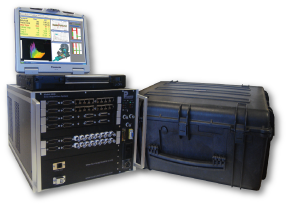 Turnkey Data Acquisition Systems - Product Overview - Pacific Instruments, Inc.
Based completely on the Series 6000 hardware and software platform, Series 6800 is a turnkey system configured for specific measurement types and environments. Systems are available for Strain/Bridge, Voltage/IEPE, Thermocouple and packaged for laboratory or portable applications. 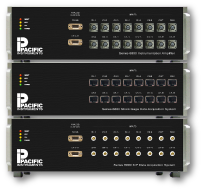 Systems range in channel count from 8 to 128 channels and can be easily expanded, should test requirements change. Included turnkey software helps facilities focus on testing, not developing software. If you don’t see a configuration that fits your application, we can likely build a system specific to your needs. 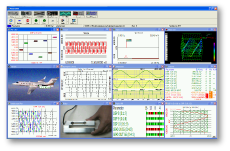 PI660 software is the choice for test management, data acquisition, and data display. 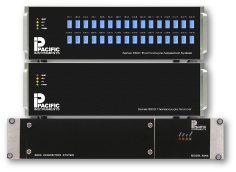 PI660 controls the Pacific Instruments Series 6800 Data Acquisition System. It provides all the tools for test definition, test setup and tracking, transducer calibration, data acquisition and display, data replay, data export, and test quality validation. PI660 is turnkey, intuitive and easy to use. The ribbon style control panel provides logical access to the various steps of programming. The software even supports a password protected user account mode where functionality can be turned on or off based on the needs of the facility.